other | Lamb on a bike! I didn’t do any speed work, I didn’t do much running that wasn’t a commute and I didn’t get a great handle on my bad stomach. But I did go to India! My first run of November was in India, but I didn’t run for another week after that as I was jetlagged and my stomach was wreaking havoc for a while. Since then I’ve been running 3 times a week, which isn’t great. Matt and I went to up north for the Kendal Mountain Festival. 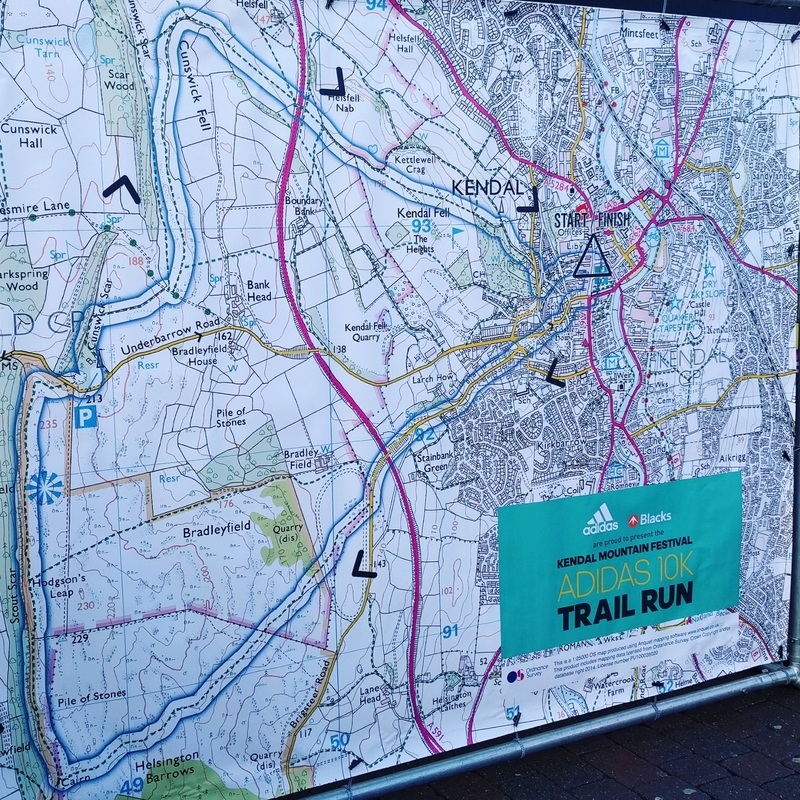 One of the events taking place was a 10k trail race, which we decided to enter. 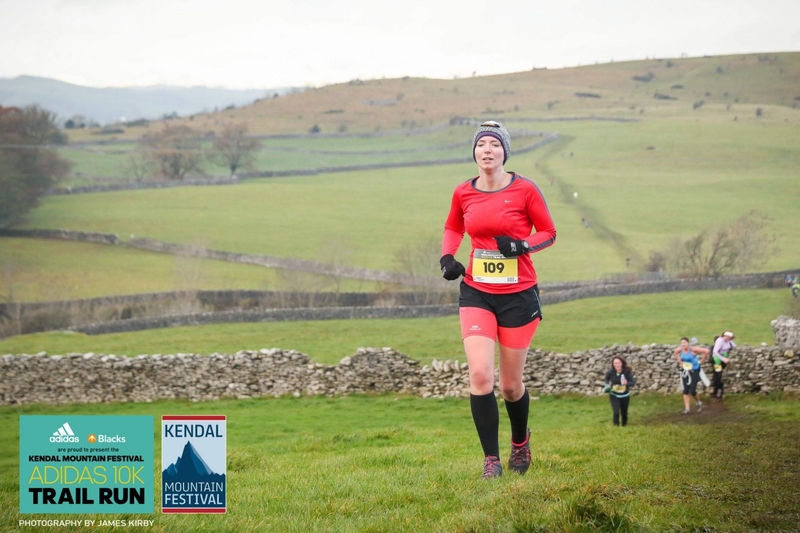 The course started in the town centre, then headed up onto Scout Scar, along the escarpment and then down through the golf course and back into town, down cobbled steps. The forecast was rainy but we woke up to a clear and cold morning. It was chilly on the start line, and we had to be there an hour in advance. I was interviewed by some people from Blacks, but didn’t do a great job of keeping warm as when we eventually set off I could barely feel my toes. I’d bought new trail shoes and as my last ones were a tiny bit too small, I’d played it safe and gone large. A little too large really. We set off up Beast Banks, which I’d been apprehensive about. I got separated from Matt but we all made our way up the hill, on the road. After about 2km we turned right onto a muddy trail, which is when I started to enjoy it less. I am nervous about running on slippery mud so was extremely tentative, especially on anything resembling a down hill and with totally numb toes. The first half of the race was predominantly uphill but there were enough downhill bits for me to feel cautious and I got overtaken on every descent. The top of Scout Scar was absolutely stunning, mist in the valley and snow on the peaks in the distance. Lots of people were out walking with their dogs. As we headed back towards the town, we went through the golf course, which was insanely muddy and I stupidly tried to hold a thorn to stop myself sliding in the mud. Finally back on tarmac, I tried to make up for all the lost time but was thwarted by the cobbled steps, which I walked down rather than risking running down them. I chatted to a girl who I’d passed earlier as she’d stopped to take her shoes off and run most of the race in her socks. Then we were back at the level of the town and there was a sharp right turn onto the high street and a sprint to the finish line. Afterwards we goofed around taking pictures before getting a lift back to the house. I was really hungry at the end but didn’t fancy eating my kendal mint cake (given in lieu of a medal), so by the time we finally ate at around 3pm I was really peckish, having had no breakfast! I intended to do parkrun the following weekends but didn’t make either of them. I love running when I’m on holiday, it’s a great way to get to know somewhere new. In the last couple of years, I’ve run in all sorts of places – this year I’ve run all over England, as well as on Scottish islands and along the Bosphorus in Istanbul. So I definitely intended to run in India! I didn’t want to take two pairs of shoes so bought a pair of cheap running shoes that I could wear every day on the holiday (£12.99 from Primark). They were very similar to Matt’s trainers, so we spent the holiday with matchy-matchy shoes, like the big losers we are. I planned to run in Lodi Gardens in Delhi, after seeing people jogging there. When I jumped out of bed, raring to go, I saw that Matt was a broken man, having been struck down the night before with an awful upset stomach, and I couldn’t really leave him. Instead I fetched him some water and tried to convince him to take immodium/go to the pharmacy (I failed). A few days later, I finally made it for a run in Jaipur. I’d looked on Strava and saw that people ran in Central Park, on a running path around the perimeter of the park. I enticed Matt out to the park by telling him we could go to a teahouse nearby afterwards. There were a few other people running in the park including a woman in a sari. The path went past the polo stables, where a gang of peacocks were terrorising the horses. I ran a lap and a half to make 5k and then headed back to Matt – then discovered we couldn’t have tea as the teahouse had closed early for Diwali. When we got back to the hotel I realised I’d had my shorts on back-to-front. I wanted to go back to Central Park the next day but the air was so bad after Diwali and I decided against it. 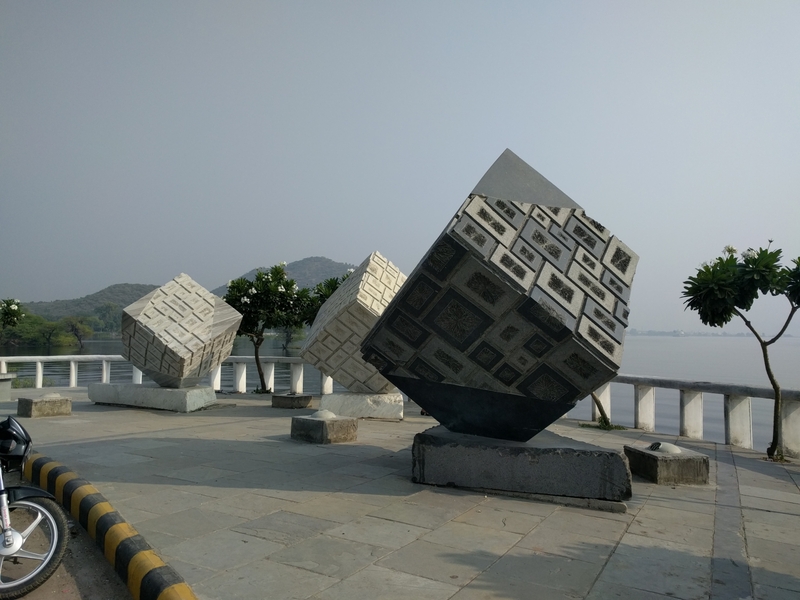 Our next stop was Udaipur and again I had looked at Strava. There was a lake to the north that people ran around, so one morning I headed out there. I walked to the lake as the road was quite busy and I wanted to be totally aware of my surroundings! Once there, I set off, initially on a main road but soon turning left onto the road around the lake. There were a few people out walking along a promenade but it was relatively quiet, especially given the number of tourists in Udaipur at the time (it was a state holiday in the neighbouring state of Gujurat). I got friendly nods from people as I passed. I ran in the road, rather than on the pavement, which was made of uneven bricks, so it was with great excitement that I saw a bike lane, the first I’d seen in India. I was marvelling at the cycling infrastructure when I nearly got run over by a scooter heading the opposite way. Later the bike lane disappeared, but when it reappeared a man gave me a cheery wave and a “good morning!” as he cycled past. There were some interesting sculptures by the lake. There were also incredibly cute puppies. Back at the main road to Udaipur I decided to walk again as the traffic was heavy and typically erratic. I wished I’d brought some money for a drink, as it felt like a long way back to town, where I had to meet Matt at a cafe to get the hotel key off him before I could FINALLY head back and have a shower. 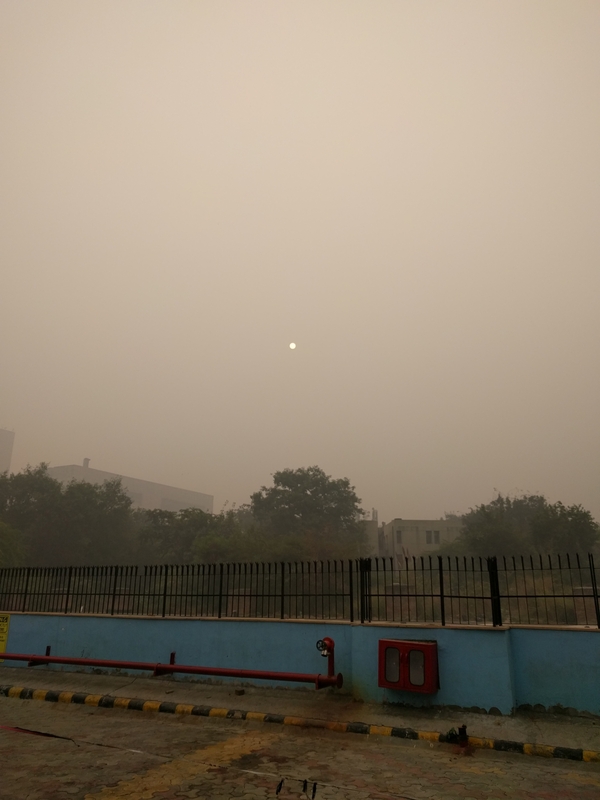 On our return to Delhi, plans for running were thwarted by toxic smog. Our hotel gym was closed for refurbishment, and although they said they could take me to a nearby gym, it seemed like a lot of hassle (the hotel had already done a great job of letting us down on almost every front). I wish I’d managed to run more in India but the two runs I did squeeze in were lots of fun! Running holidays are the best kind of holidays! In the end I managed to run 99km, less than August and much less than I planned. I’ve been totally snowed under at work and feeling pretty down. I’m running about 4 times a week but no long runs, I just can’t motivate myself to go and do it, mainly just commuting instead. I did do the 10k race in Battersea Park, and it was fun. I was really anxious about it, for every reason imaginable. I cycled over after work and met up with Becca and Charley, and we ran the whole thing together, with one of Becca’s friends, chatting the whole way. It was actually really lovely. 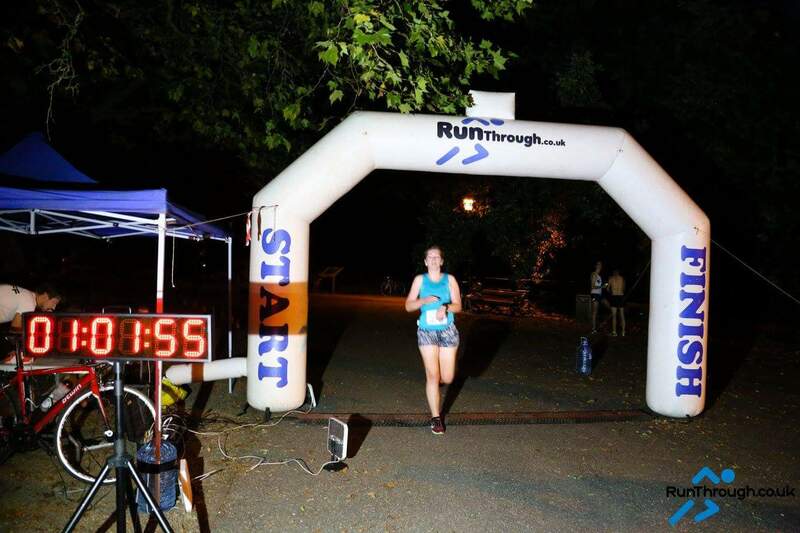 The idea of the race is that you “chase the sun”, which means that we lost, as it got progressively darker on each lap but it was during september’s freakish heat wave and didn’t cool down at all, which made for a strange but not unpleasant sensation. 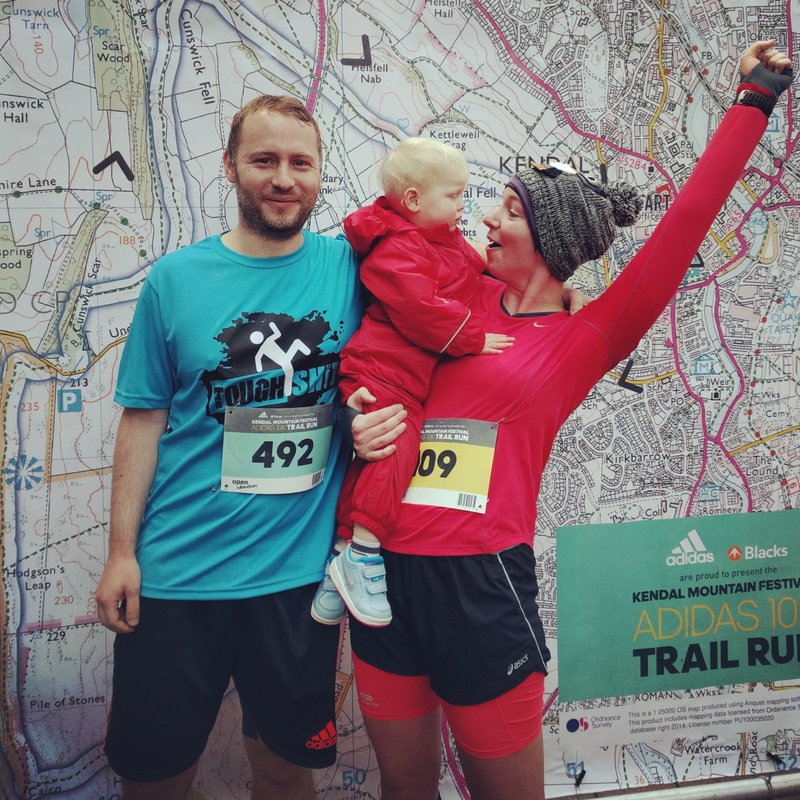 I decided not to do the duathlon as I hadn’t trained and couldn’t face coming last, and the logistics were starting to get annoying and I just didn’t want to. Then I felt bad about it. I did two parkruns. But I also refused to get out of bed twice too, so it could easily have been four parkruns. The two that I did were at Brockwell. The first was with Matt, we started near the back but kept it steady. I talked to Matt on the uphills and let him bomb down the descents. He was flagging a little by the end but still managed 29:25, which is 20 seconds slower than the last one but, crucially, on a much tougher course. The next week we did Brockwell again, Matt said he didn’t need me to run with him so I went off ahead. He spent the first half trying to catch me and paid for it in the second half – but still did a fantastic time and finished in 28:53. Amazing! My running hasn’t been at all consistent or structured. Aside from commuting, I tried to do speedwork once but my legs were really sluggish. I attempted a long-ish run and ended up having stomach issues and beating a hasty retreat to the toilets in Battersea Park. I would like to get a race or two in the diary but I feel really useless and lame so I’m stalling.